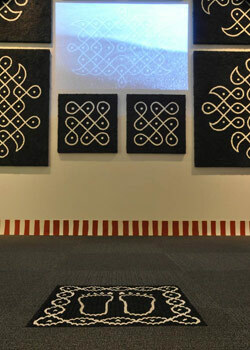 During the course of the exhibition vistors to the gallery may draw on the "Virtual Kolam" piece. Each of these drawings are archived into an interactive gallery piece on this site. The gallery is available for viewing online as an archive of the gallery events.